Be sure to check out this year’s Art Show, which highlights many of the great artistic achievements of St. Joe students. Fine Arts week is among us. This, for students of Saint Joe, marks the beginning of the end of the school year. 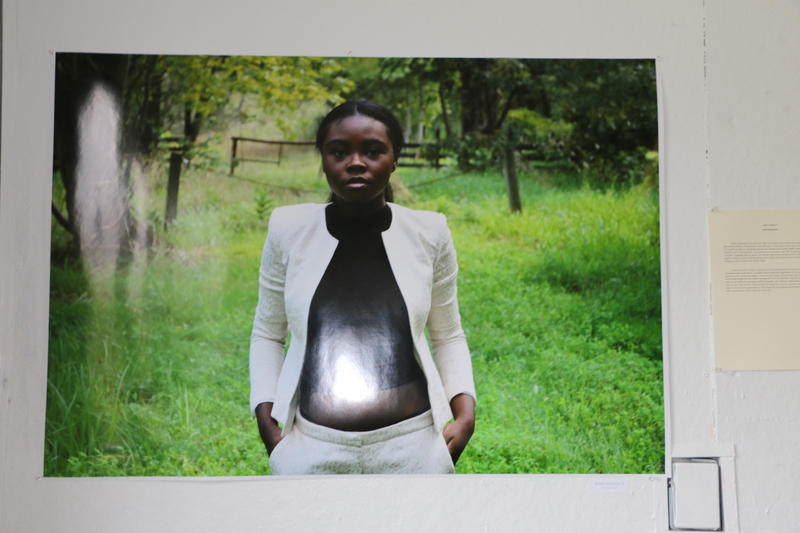 The shining gem of the Fine Arts Week is always The Art Show, hosted by the Art Department. 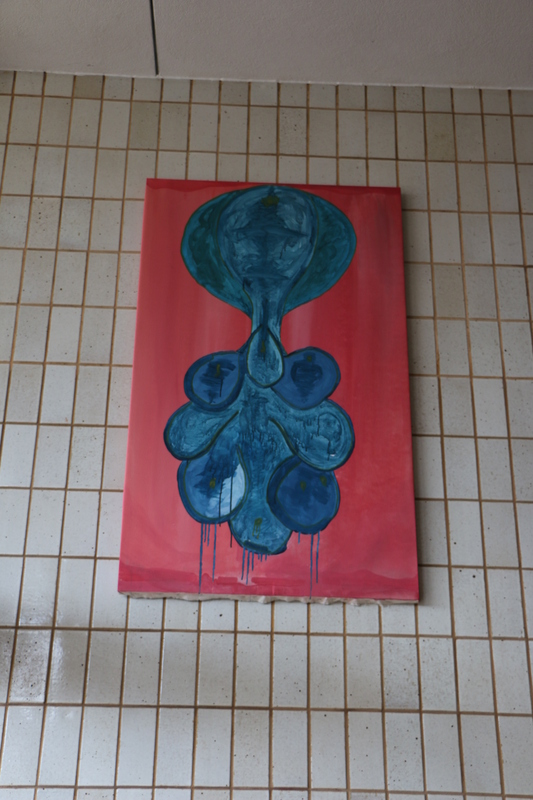 Student art is used to decorate the second floor of Xavier Hall and the main entrance of the building. The art created by students throughout the year is presented at this gala. With many beautiful pieces of art, one would be hard-pressed to not find something they like. I spoke with Mr. Ryan Foti and asked him about what he was doing new for the Art Show this week. The two biggest changes that were mentioned were that there are many websites of higher level student’s personal art portfolios, consisting of all the art that students have made in the class they were in. Another new addition is because of the increasing numbers of students making videos and motion pictures, every hour at the top of the hour the videos will be displayed on the projector screen in Room 25 in Xavier Hall. Mr. Foti likes this aspect of the show the most, specifically Mark McGowan’s and Sam Monaco’s videos. 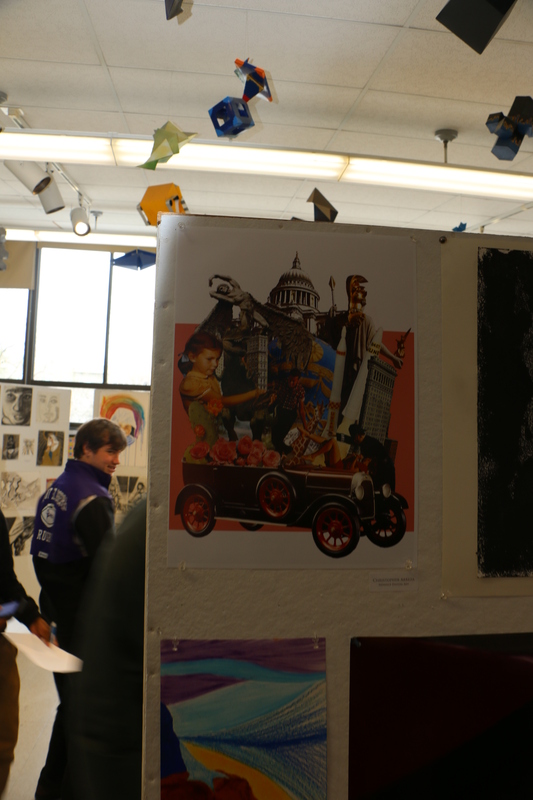 Mr. Foti was also asked about certain pieces that attracted the eyes of many students, and he said that many people stop and look at Junior Jack Aldave’s cut-book page art. 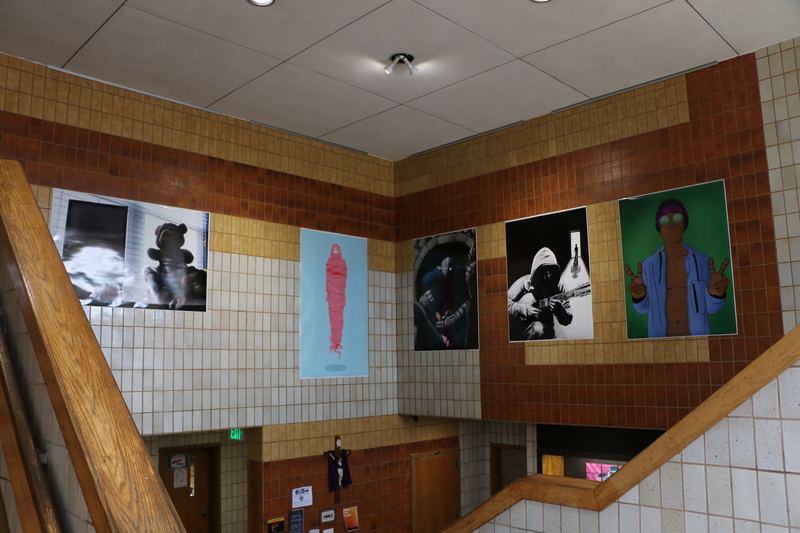 The AP Studio Art students are typically creating the best art in the show, and the best art by these students is being displayed at the top wall on the first floor of Xavier Hall with some more work by them being placed in the showcase next to the front doors. The art coming from these students is very diverse as well. 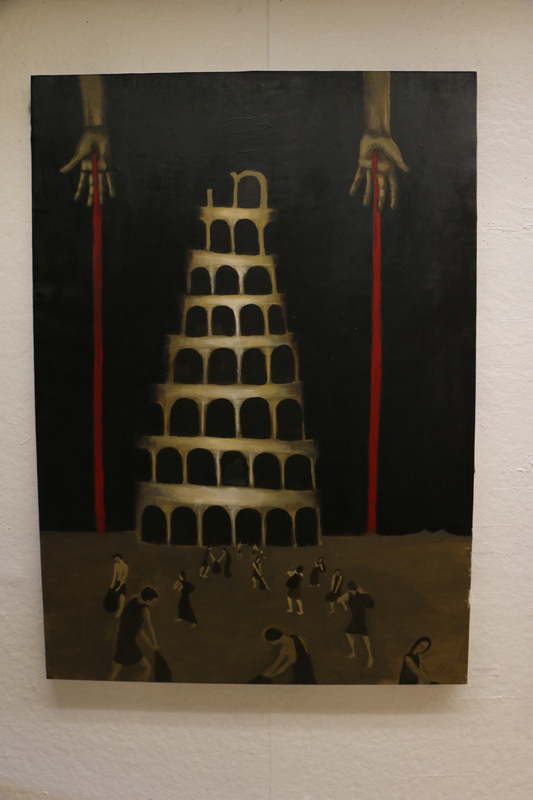 Isaac Scharbach and Aaron Johnson take the more traditional approach to art by doing physical drawings and paintings. 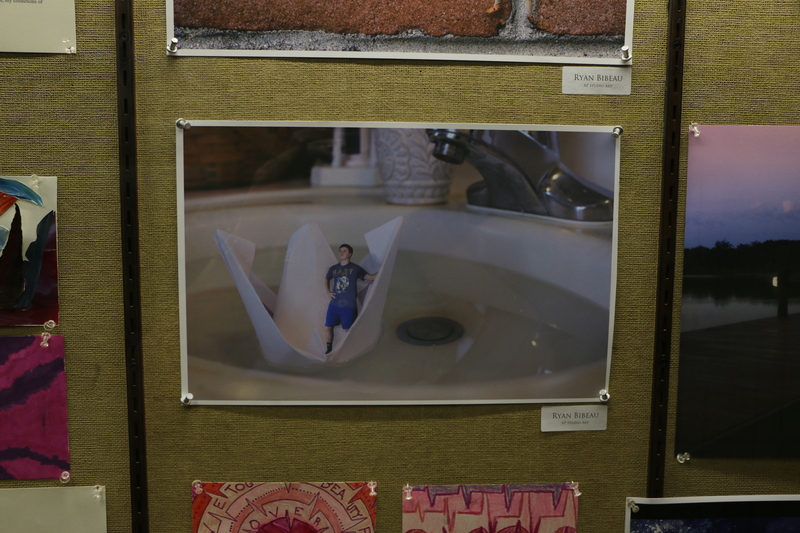 Ryan Bibeau is one of St. Joe’s best photography students, and he has some of his work on display in the entry to Xavier Hall. Finally Seth Johnson and William Boylan are renowned for their graphic design – if you look up when you enter Xavier Hall, you will see their work attached to the wall in the alcove. In terms of people visiting the Art Show, as always he is expecting a huge turnout for Friday night’s show, however Mr. Foti does fear that the spring play “Oliver” may interfere with the turnout. There is a second date for the Art Show on Sunday, April 9th from 12pm-2pm, and finally there is another opportunity to see the beautiful art before the play’s matinee at 2pm on Sunday.